What is Attachment Theory? Bowlby's 4 Stages Explained. Is it all your mother’s fault? Whatever the “it” is, Freud would probably say yes; however, we now know a lot more about psychology, parenting, and human relationships than Freud did. We know that not every issue or problem can be traced back to the mother. After all, there is another person involved in the raising (or at least the creation) of a child! So, is it all the mother and father’s fault? Of course, that’s not really a fair question either. There are many other important people in a child’s life who can influence them in one way or another. There are siblings, grandparents, aunts and uncles, godparents, close family friends, nannies and daycare workers, teachers, peers, and others who interact with a child on a regular basis. The questions posed are tongue in cheek, but they touch upon an important discussion in psychology—what influences a child to turn out the way they do? What affects their ability to form meaningful, satisfying relationships with those around them? What factors contribute to their experiences of anxiety, avoidance, and fulfilment when it comes to relationships? We’re pretty sure it’s not all the mother’s fault or even the fault of both parents, but we can be sure that a child’s early experiences with his or her parents have a profound impact on their relationship skills and style as an adult. Much of the knowledge we have on this subject today comes from a theory developed in the 1950s called attachment theory. This theory will be the focus of this piece: what it is, how it describes and explains behavior and the applications for the real world. Ready to dive into this theory? Read on! 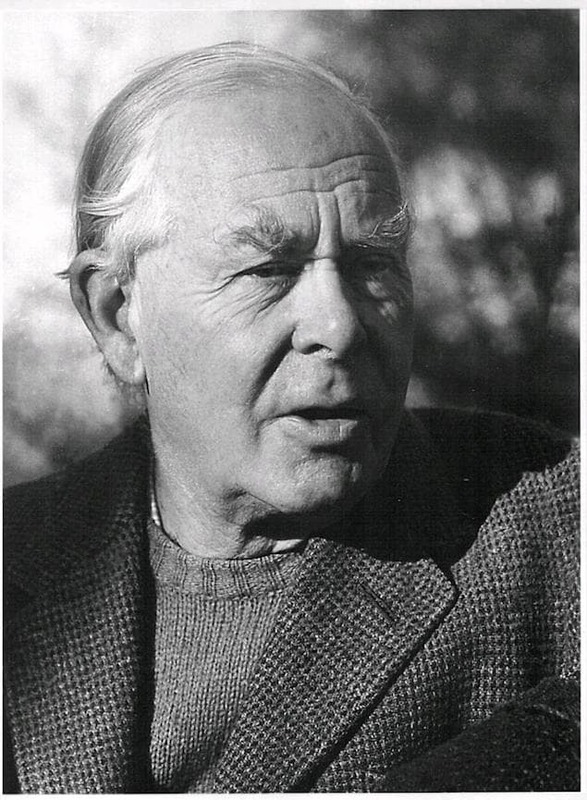 The psychological theory of attachment was developed by John Bowlby (and expanded upon by Mary Ainsworth—see next section), a psychoanalyst who researched the effects of separation between infants and their parents (Fraley, 2010). Bowlby suspected that the extreme behaviors infants would engage in to avoid separation or when reconnecting with a physically separated parent, behaviors like crying, screaming, and clinging, were actually evolutionary mechanisms—behaviors that were reinforced through natural selection and enhanced the child’s chances of survival. These attachment behaviors are instinctive responses to the perceived threat of losing the survival advantages that accompany being cared for and attended to by the primary caregiver(s). Since the infants who engaged in these behaviors were more likely to survive, the instincts were naturally selected and reinforced over generations. These behaviors make up what Bowlby termed an “attachment behavioral system,” the system that guides us in our patterns and habits of forming and maintaining relationships (Fraley, 2010). Secure attachment – these infants showed distress upon separation but sought comfort and were easily comforted when the parent(s) returned. Anxious-resistant attachment – a smaller portion of infants experienced greater levels of distress and, upon reuniting with the parent(s), seemed to both seek comfort and attempt to “punish” the parent(s) for leaving. Avoidant attachment – infants in the third category of attachment style showed no stress or minimal stress upon separation from the parent(s) and either ignored the parent(s) upon reuniting, or actively avoided the parent(s). In later years, researchers would add a fourth attachment style to this list: the disorganized-disoriented attachment style, which refers to children that have no predictable pattern of attachment behaviors (Kennedy & Kennedy, 2004). It makes intuitive sense that a child’s attachment style is largely a function of the caregiving the child receives in his or her early years; those who received support and love from their caregivers are likely to be secure, while those who experienced inconsistency or negligence from their caregivers are likely to feel more anxiety surrounding their relationship with their parents. However, attachment theory takes it one step further, applying what we know about attachment in children to relationships we engage in as adults. These relationships (particularly intimate and/or romantic relationships) are also directly related to our attachment styles as children and the care we received from our primary caregivers (Firestone, 2013). The development of this theory gives us an interesting look into the study of child development. Bowlby’s interest in child development traces back to his first experiences out of college, in which he volunteered at a school for maladjusted children. According to Bowlby, two children sparked the curiosity and drive that laid the foundations of attachment theory; there was an isolated and distant teenager who had no stable mother figure in his life and had recently been expelled from his school for stealing, and an anxious 7 or 8-year-old boy who followed after Bowlby wherever he went, earning himself a reputation as Bowlby’s “shadow” (Bretherton, 1992). Through his work with children, he developed a strong belief in the impact of family experiences on children’s emotional and behavioral well-being. 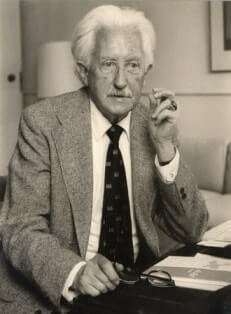 Early on in his career, he proposed that psychoanalysts working with children should take a holistic perspective, considering the child’s living environment, family, and other experiences in addition to any behaviors exhibited by the child him- or herself. This idea grew into a strategy of helping children by helping their parents, a generally effective strategy given the importance of the child’s relationships with their parents (or other caregivers). 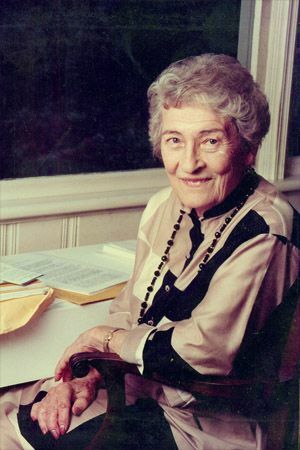 At roughly the same time as Bowlby was creating the foundations for his theory on attachment, Mary Ainsworth was finishing her graduate degree and studying security theory, which proposed that children need to develop a secure dependence on their parents before venturing out into unfamiliar situations. In 1950, the two finally crossed paths when Ainsworth took a position in Bowlby’s research unit at the Tavistock Clinic in London. Her initial responsibilities included analyzing records of children’s behavior, which inspired her to conduct her own studies on children in their natural settings. Through several papers, numerous research studies, and theories discarded, altered, or added together, Bowlby and Ainsworth developed and provided evidence for attachment theory as a more rigorous explanation and description of attachment behavior than any of the other theories on this topic at the time, including those that had grown out of Freud’s work and those that were developed in direct opposition to Freud’s ideas (Bretherton, 1992). There were several groundbreaking studies that contributed to the development of attachment theory or provided evidence for its validity, including the study described earlier in which infants were separated from their primary caregivers and their behavior was observed to fall into a “style” of attachment. Further findings on emotional attachment came from a surprising place: rhesus monkeys. In the 1950s, Harry Harlow was conducting experiments on love and relationships between parents and children, specifically monkey parents and children. His work showed that motherly love was emotional rather than physiological, that the capacity for attachment is heavily dependent upon experiences in early childhood, and that this capacity was unlikely to change much after it was “set” (Herman, 2012). Harlow separated infant monkeys from their mothers a few hours after birth and gave them to two surrogate “mothers” to raise: both provided the infant monkeys with the milk they needed to survive, but one was made out of wire mesh while the other was wire mesh covered with terry cloth. The monkeys who were given the freedom to choose which mother to associate with almost always chose to take milk from the terry cloth “mother.” This finding showed that infant attachment is not simply a matter of where they get their milk! 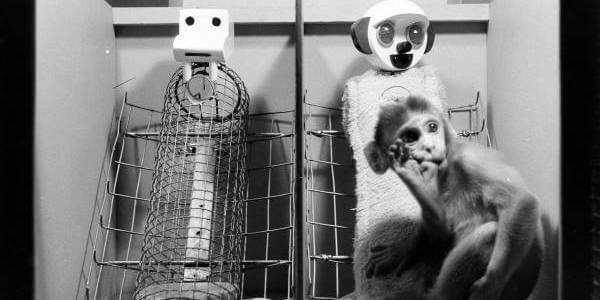 For his second experiment, Harlow modified his original setup; the monkeys were given either the bare wire mesh surrogate mother or the terry cloth mother, both of which provided the milk the monkeys needed to grow. Both groups of monkeys survived and thrived physically, but they displayed extremely different behavioral tendencies. Those with a terry cloth mother returned to the surrogate when presented with strange, loud objects, while those with a wire mesh mother would throw themselves to the floor, clutch themselves, rock back and forth, or even “scream in terror.” This provided a clear indication that emotional attachment in infancy, gained through cuddling, affected the monkey’s later responses to stress and emotion regulation (Herman, 2012). These two experiments laid the foundations for further work on attachment in children and the impacts of attachment experiences in later life. Erikson’s research trajectory was parallel to Bowlby and Ainsworth’s but came from a different perspective. His work was based on Freud’s original personality theories and drew from his idea of the ego. However, Erikson placed more importance on context, on the culture and society, than on Freud’s focus on the conflict between the id and the superego. In addition, his stages of development are based on how children socialize and how it affects their sense of self rather than on sexual development. Infancy: Trust vs Mistrust. In this stage, infants require a great deal of attention and comfort from their parents, leading them to develop their first sense of trust (or, in some cases, mistrust). Early Childhood: Autonomy vs. Shame and Doubt. Toddlers and very young children are beginning to assert their independence and develop their unique personality, making tantrums and defiance common. Preschool Years: Initiative vs. Guilt. Children at this stage begin learning about social roles and norms; their imagination will take off at this point, and the defiance and tantrums of the previous stage will likely continue. The way trusted adults interact with the child will encourage him or her to act independently or to develop a sense of guilt about any inappropriate actions. School Age: Industry (Competence) vs. Inferiority. At this stage, the child is building important relationships with peers and is likely beginning to feel the pressure of academic performance; mental health issues may begin at this stage, including depression, anxiety, ADHD, and other problems. Adolescence: Identity vs. Role Confusion. The adolescent is reaching new heights of independence and is beginning to experiment and put together his or her identity. Problems with communication and sudden emotional and physical changes are common at this stage (Wells, Sueskind, & Alcamo, 2017). Young Adulthood: Intimacy vs. Isolation. At this stage (around 18 to 40), the individual will begin sharing with others more, including those outside of the family. If the individual is successful in this stage of development, he or she will build satisfying relationships that have a sense of commitment, safety, and care; if not, they may fear commitment and experience isolation, loneliness, and depression (McLeod, 2017). Middle Adulthood: Generativity vs. Stagnation. In the penultimate stage (around 40 to 65), the individual is likely established in his or her career, relationship, and family. If the individual is not established and contributing to society, he or she may feel stagnant and unproductive. Late Adulthood: Ego Integrity vs. Despair. Finally, late adulthood (65+) usually brings reduced productivity, which can be embraced as a reward for one’s contributions or met with guilt or dissatisfaction. Successfully navigating this stage will protect the individual from feeling depressed or hopeless, and help the individual cultivate wisdom (McLeod, 2017). Although it does not map completely onto attachment theory, it is clearly related to the attachment styles and behaviors they identified. Although attachment theory’s styles are not bipolar (i.e., success vs. failure), they do exist on a continuum generally thought to be anxious vs. avoidant—more on that later. According to Bowlby and Ainsworth, attachments with the primary caregiver develop during the first 18 months or so of the child’s life, starting with instinctual behaviors like crying and clinging (Kennedy & Kennedy, 2004). These behaviors are quickly directed as one or a few caregivers in particular, and by 7 or 8 months old, children usually start protesting against the caregiver(s) leaving and grieving for their absence. Once children reach their toddler stage, they begin forming an internal working model, or IWM, of their attachment relationships. This IWM provides the framework for the child’s beliefs about their own self-worth and how much they can depend on others to meet their needs. In Bowlby and Ainsworth’s perspective, the attachment styles that children form based on their early interactions with caregivers form a continuum of emotion regulation, with anxious-avoidant attachment at one end and anxious-resistant at the other. Secure attachment falls at the midpoint of this spectrum, at the point of balance between overly organized strategies for controlling and minimizing emotions and the uncontrolled, disorganized, and ineffectively managed emotions. The most recently added classification, disorganized-disoriented, may display strategies and behaviors from all across the spectrum, but generally are not effective in controlling their emotions and may have outbursts of anger or aggression (Kennedy & Kennedy, 2004). Secure Attachment: these children are generally more likely to see others as supportive and helpful and themselves as competent and worthy of respect; they relate positively to others and display resilience, engage in complex play and are more successful in the classroom and in interactions with other children. They are better at taking the perspectives of others and have more trust in others. Anxious-Avoidant Attachment: children with an anxious-avoidant attachment are generally less effective in managing stressful situations; they are likely to withdraw and resist seeking help from others, which inhibits them from forming satisfying relationships with others. They show more aggression and antisocial behavior, like lying and bullying, and they tend to distance themselves from others to reduce emotional stress. Anxious-Resistant Attachment: anxious-resistant children are on the opposite end of the spectrum from anxious-avoidant children; they are likely to lack self-confidence and stick close to their primary caregivers. They may display exaggerated emotional reactions and keep their distance from their peers, leading to social isolation. Disorganized Attachment: children with a disorganized attachment style usually fail to develop an organized strategy for coping with separation distress, and tend to display aggression, disruptive behaviors, and social isolation. They are more likely to see others as threats than sources of support, and thus may switch between social withdrawal and defensively aggressive behavior (Kennedy & Kennedy, 2004). It is easy to see how attachment style in childhood leads to relationship problems as adults. Indeed, it is clear how these types in childhood map on to the attachment types in adulthood. See below for an explanation of the four attachment types in adult relationships. Secure Attachment – These adults are more likely to be satisfied with their relationships, feeling secure and connected to their partner without feeling the need to be (physically) together all the time. Their relationships are likely to feature honesty, support, independence, and deep emotional connections. Dismissive Avoidant (or Anxious-Avoidant) Attachment – One of the two types of adult avoidant attachments, people with this attachment style generally keep their distance from others. They may feel that they don’t need human connection to survive or thrive, and insist on maintaining their independence and isolation from others. These individuals are often able to “shut down” emotionally when a potentially hurtful scenario arises, such as a serious argument with their partner or a threat to the continuance of their relationship. Anxious-Preoccupied (or Anxious-Resistant) Attachment – Those who form less secure bonds with their partners may feel desperate for love or affection and feel that their partner must “complete” them or fix their problems. While they long for safety and security in their romantic relationships, they may also be acting in ways that push their partner away rather than invite them in. The behavioral manifestations of their fears can include being clingy, demanding, jealous, or easily upset by small issues. Fearful Avoidant (or Disorganized) Attachment – The second type of adult avoidant attachment manifests as ambivalence rather than isolation. People with this attachment style generally try to avoid their feelings because it is easy to get overwhelmed by them. They may suffer from unpredictable or abrupt mood swings and fear getting hurt by a romantic partner. These individuals are simultaneously drawn to a partner or potential partner and fearful of getting to close. Unsurprisingly, this style makes it difficult to form and maintain meaningful, healthy relationships with others (Firestone, 2013). Each of these styles should be thought of as a continuum of attachment behaviors, rather than a specific “type” of person; someone with a generally secure attachment style may display behaviors more suited to the other types on occasion, or someone with a dismissive avoidant style may form a more secure bond with a particular person. Therefore, these “types” should be considered as a way to describe and understand individual behavior, rather than an exact fit for their personality. Based on a person’s attachment style, the way that they approach intimate relationships, marriage, and parenting can vary widely. The number of ways in which this theory can be applied or used to explain behavior is compounded and expanded by the fact that relationships take two (or more! ); any attachment behaviors that an individual displays will impact and be influenced by the attachment behaviors of the other partner. Given the huge variety in individuals, behaviors, and relationships, it is not surprising that there is so much conflict and confusion! It is also not surprisingly, although no less unfortunate, that many relationships end up in divorce or dissolution, an event that may continue an unhealthy cycle of attachment in the children of these unions. Speaking of unfortunate situations, attachment theory also has applications in the understanding of grief and trauma associated with loss. Although you may be most familiar with Kübler-Ross’ Five Stages of Grief, Bowlby Four Stages actually preceded the five-stage model that is so popular today. Shock and Numbness – In this initial phase, the bereaved may feel that the loss is not real, or that it is simply impossible to accept. He or she may experience physical distress and will be unable to understand and communicate his or her emotions. Yearning and Searching – In this phase, the bereaved is very aware of the void in his or her life, and may try to fill that void with something or someone else. He or she still identifies strongly and may be preoccupied with the deceased. Despair and Disorganization – The bereaved now accepts that things have changed and cannot go back to the way they were before. He or she may also experience despair, hopelessness, and anger, as well as questioning and an intense focus on making sense of the situation. He or she might withdraw from others in this phase. Re-organization and Recovery – In the final phase, the bereaved person’s faith in life may start to come back. He or she will start to rebuild and establish new goals, new patterns, and new habits in life. The bereaved will begin to trust again, and grief will recede to the back of his or her mind instead of staying front and center (Williams & Haley, 2017). Of course, one’s attachment style will influence how grief is experienced as well. For example, someone who is secure may move through stages fairly quickly or skip some altogether, while someone who is anxious or avoidant may get stuck on yearning and searching or despair and disorganization. We all experience grief differently, but viewing these experiences through the lens of attachment theory can bring new perspective and insight into our unique grieving processes and why some of us get “stuck” after a loss. If you’re interested in learning about your attachment style, there are many tests, scales, and questionnaires out there you can take. Feeny, Noller, and Hanrahan developed the Original Attachment Three-Category Measure in 1987 to test respondents’ adult attachment style. It contains only 3 items and is very simple, but can give you a good idea of which category you fall into: avoidant, anxious/ambivalent, or secure. You can complete the measure yourself or read more about it in this PDF on page 3. Bartholomew and Horowitz’s Relationships Questionnaire (RQ) added to The Three-Category Measure by expanding it to include the dismissing-avoidant category. You can find it on the same PDF as the Three-Category Measure, starting on page 3. Fraley, Waller, & Brennan’s (2000) Experiences in Close Relationships Questionnaire-Revised (ECR-R) is a 32-item questionnaire that results in measures on two subscales related to attachment: avoidance and anxiety. Items are rated on a scale from 1 (strongly disagree) to 7 (strongly agree). You can find this questionnaire on the final three pages of the PDF mentioned above. In addition to these scales, there are several less rigorous attachment style tests you can take to learn about your own style for connecting with others. 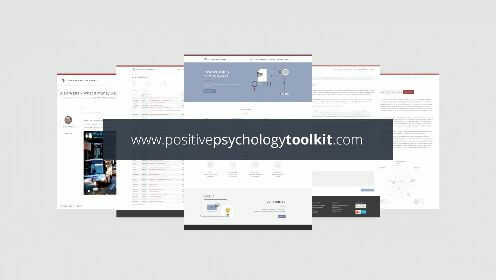 They are not validated instruments used frequently in empirical research, but they can be helpful tools for learning more about yourself and your attachment style. Dr. Diane Poole Heller developed an Attachment Styles Test, which contains 45 items rated on a 3-point scale from “Rarely/Never” to “Usually/Often.” You can find it here, although after completing it you must enter an email to receive your results. The Relationship Attachment Style Test is a 50-item test hosted on Psychology Today’s website. It covers the four attachment styles noted earlier (Secure, Anxious-Ambivalent, Dismissive-Avoidant, Fearful-Avoidant) as well as Dependent and Codependent attachment styles. If you are interested in taking this test, you can find it at this link; however, be aware that you will receive a free “snapshot report” at the end, but you will need to pay a small fee to see your full results ($6.95). As you probably guessed by now, attachment theory has some important implications for the classroom. One of the ways in which the principles and concepts of attachment theory have been effectively applied to teaching is the practice of emotion coaching. As the quote above suggests, emotion coaching is much more about supporting the child in learning about and regulating their own emotions and behavior than it is about “coaching” them in the traditional sense; in emotion coaching, teachers are not required—or even encouraged—to try to manipulate the proper behavior through rewards or punishments. Teaching students about the world of “in the moment” emotion. Showing students strategies for dealing with emotional ups and downs. Empathizing with and accepting negative or unpleasant emotions as normal, but not accepting negative behavior. Using moments of challenging behavior as opportunities for teaching. Building trusting and respectful relationships with the students (National College for Teaching and Leadership, 2014). Tune in – notice or become aware of your own and the child’s emotions; make sure you are calm enough to practice emotion coaching, otherwise, you might want to give both of you a quick breather. Connect – use this situation as an opportunity for you to practice and for the child to learn; state objectively (this is important!) what emotions you think the child is experiencing to help them connect their emotions to their behavior. Accept and Listen – practice empathy; put yourself in the child’s shoes, think about a situation when you felt a similar emotion, and try to remember what it felt like. Reflect – once everyone is calm, go back over what the child said or did, mentioning only what you saw, heard, or understand of the situation; reflect on what happened and why it happened. End with Problem Solving/Choices/Setting Limits – whenever possible, try to end the situation by guiding or involving the child in problem-solving (Somerset Children & Young People, n.d.). To learn more about emotion coaching and improve your skills as a parent or teacher, try this activity. What Would an Emotion Coach Do? This short, two-page activity from the Somerset Emotion Coaching Project can help you enhance your understanding of what emotion coaching is—and what it is not. There are five scenarios presented along with six potential responses. Your task is to read the scenario and decide which response(s) is/are the appropriate emotion coaching response(s). Get cross with the pupil for the bad behavior. 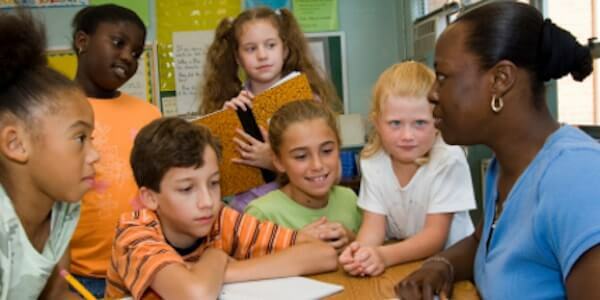 Tell the pupil they will have to complete an extra session due to the bad behavior. Help the pupil to think about what they can do about the problem. Tell the pupil not to make a big deal about staying after school. Validate the pupil’s expression of anger and frustration. This is an excellent activity to do in groups, as you can discuss each option with others and hear different perspectives from your own. In addition to identifying the emotion coaching response(s), you can also discuss which options are dismissive, avoidant, etc. You can see the rest of the scenarios and try your hand at this activity by clicking here (an automatic download will start when you click on the link). Another great resource from the Somerset Emotion Coaching Project, this activity gives you a chance to practice coming up with emotion coaching-appropriate responses. As an added bonus, you can use the scripts you develop to guide you the next time you encounter a situation like those described. A young person refuses to sit by her usual friends at a youth center and says that they have been saying unkind comments about her size. A boy regularly fails to complete work independently and will often sit passively and contribute little. He rarely presents with disruptive behavior but simply completes very little work. He appears isolated from his peers. A nursery child is crying at drop off time and is clinging to her parent who has to go to work. During outdoor play, a group of young boys was fighting and one of the boys has been hurt (not seriously). You approach them and they all look at you with worried expressions. Recognize the emotion the child is displaying. Label the emotion the child is feeling. Set limits, if appropriate, and problem solve. Completing this worksheet provides you with an excellent opportunity to think, plan, and prepare for effective emotion coaching. You can download this activity for your own use here (an automatic download will start when you click on the link). To dive into the National College for Teaching and Leadership’s resources on teaching with attachment theory in mind, check out their introduction here. If you’re interested in learning more about applying attachment theory to teaching, check out Louis Cozolino’s book Attachment-Based Teaching: Creating a Tribal Classroom. He puts forth a startlingly simple but potentially game-changing idea: that relationships are the key to better performance rather than rigidly structured curricula and studying for tests rather than learning. Emotion coaching can be used by social workers as well, to some extent. It is vital for social workers to offer children and families a safe haven and secure base. This does not mean families should be forever comfortable and come to depend on the social worker, but that families should know they a safe place when they are struggling as well as support for moving forward and outward. Social workers must be aware of children’s (and their families’) inner experiences and practice mentalization, or “bringing the inside out.” One of the most important factors in finding healing and improving family relations is to ensure that parents have an idea of what is going on in their child’s head, including how they feel and think about their parents. Among the most effective tools in a social worker’s toolbox is the practice of recording parents as they interact with their child and using the videos to coach the parent. Valuable insights can be found in watching oneself parenting, and the social worker can provide in the moment coaching, offering praise for the parents’ strengths and offer suggestions for improvement (Shemmings, 2015). Of course, there are many ways to apply attachment theory to working with children, especially those who are in the midst of family crises; however, if these three points are attended to, you’ll have some of the most important bases covered. Remember that attachment theory applies throughout the entire range of life, and many behaviors and processes are shaped by early attachment, including staying safe, seeking comfort, regulating proximity to the attachment figure, and seeking predictability. 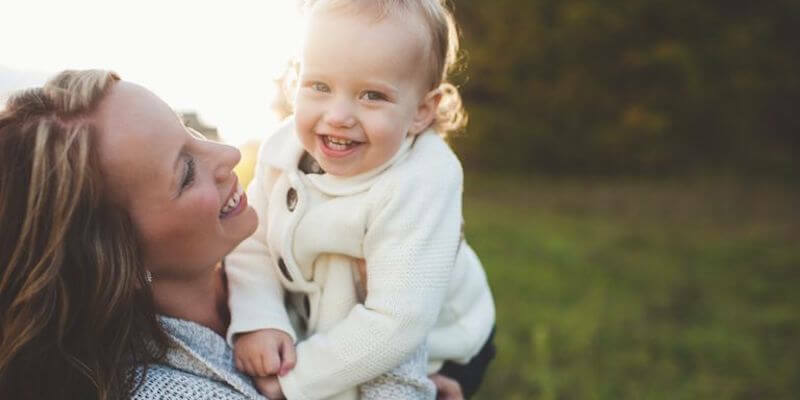 Keep in mind that attachment patterns are not based on a few key moments, but on thousands of moments throughout early life, and how an attachment figure responds (or does not respond) sets a template for the child’s attachment style in the future. This template affects how the child recognizes and responds to their own emotions and how they interact with attachment figures. This early template becomes deeply embedded in the brain, and therefore have a significant impact on our ability to regulate our emotions and connect and relate to others in adulthood. This can lead an adult who was abused in childhood to fail to recognize that they are being abused in their intimate relationship, or even cause them to find comfort and stability in the predictability of their situation. Remember that attachment behaviors are adaptive to the context in which they were formed; habits and behaviors that are adaptive in childhood, in an evolutionary sense at least, may become maladaptive and harmful in adulthood. Finally, social workers should never think that they are “treating” a set of behaviors, but must recognize that the individual’s strategies were formed for a reason and likely helped them survive a difficult situation in childhood. The role of a social worker is to help him or her avoid overapplying those strategies and guide them to add effective, new strategies to their toolbox (Hardy, 2016). As with any popular theory in psychology, there are several criticisms that have been raised. Nature vs. Nurture: Overemphasis on Nurture – This criticism stems from the work of psychologist J. R. Harris, who believes that parents do not have much of an influence over their child’s personality or character as most people seem to believe. She notes that much of one’s personality is determined by genetics rather than environment (Harris, 1998; Lee, 2003). o The stressful situation criticism of attachment theory’s limitations notes that the model was based on a child’s reactions in momentary, stressful situations (being separated from one’s parent), and does not provide any insight into how children and parents interact in non-stressful situations. o Further, the early model did not take into consideration the fact that children can have different kinds of attachments to different people; the attachment with the mother may not represent the attachments formed with others. 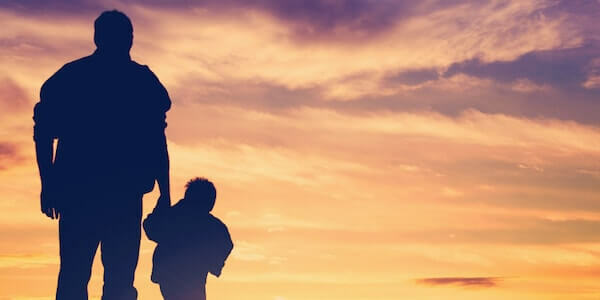 o Finally, the mother was viewed as the automatic primary attachment figure in the early model, when the father, stepparent, sibling, grandparent, or even an aunt or uncle may be the person that the child connects most strongly with (Field, 1996; Lee, 2003). Although some of these criticisms have faded over time as the theory is injected with new evidence and updated concepts, it is useful to look at any theory with a critical eye. www.communitycare.co.uk – The Community Care website calls itself “The heart of your social care career” and offers many interesting pieces on social work, attachment theory, and working with children and families who are struggling. Attachment Theory by Saul McLeod on SimplyPsychology – This article provides an excellent brief introduction to attachment theory, as well as information on the Harlow experiments, the stages of attachment, and Lorenz’s imprinting theory. A Brief Overview of Adult Attachment Theory and Research by R. Chris Fraley – This piece from attachment theory expert R. Chris Fraley also gives the reader a thorough and academic introduction to familiarize readers with the theory. Attachment Styles at Work: Measurement, Collegial Relationships, and Burnout by Michael P. Leiter, Arla Day, and Lisa Price – This article, published in the journal Burnout Research in 2015, dives into the applications of attachment theory in the workplace, a subject we didn’t get to in this piece. The authors share some interesting insights about how one’s attachment style affects their relationships and performance in the workplace. This piece tackled attachment theory, a theory developed by John Bowlby in the 1950s and expanded upon by Mary Ainsworth and countless other researchers in later years. The theory helps explain how our childhood relationships with our caregivers can have a profound impact on our relationships with others as adults. As always, I hope you found this theory interesting and this piece informative. Although attachment theory may not be able to explain every peculiarity of personality, it lays the foundations for a solid understanding of yourself and those around you when it comes to connecting and interacting with others. What do you think about attachment theory? Do you find the evidence compelling? Do you think there are attachment styles not covered by the four categories? Are there any other criticisms of attachment theory you think are valid and worthy of discussion? Let us know in the comments! Harris, J. R. (1998). The nurture assumption: Why our children turn out the way they do. New York, NY: Free Press. Hi! Excellent grounding document. I have a question about the positives of the various attachment styles. I feel that there is too much emphasis on connection and relationship, which may have the effect of pathologizing people who are by nature more independent-minded. 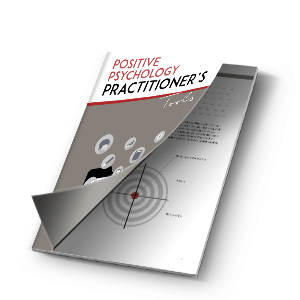 In most personality or behaviour categorizations there is a range of expressions of the key characteristics, which would run from positive to neutral to negative. Most of what I have seen written about attachment is only negative for everything except secure attachment (speaking of adults). I had to write a paper on The Attachment Theory, and this article gave me great pointers to put into my paper. I will be for sure getting an A with this type of research! Awesome article. What to do with a 8 yo child with attachment problems? Very interisting the part on attachment in grief and trauma! I think an important theme could be the investigation of the body structures connected with the different style of attachment and in wich developmental stage they develop.